Note: This is a re-post of my Widows review from the 2018 Toronto International Film Festival. The film opens in wide release on November 16th. What happens when one of the most talented filmmakers working today takes a crack at a commercial, star-studded thriller? You get Widows. If you’re expecting the Oscar-winning 12 Years a Slave and Shame filmmaker to have crafted another patient, thought-provoking, and soul-crushing drama well, you’d be half right. With Widows, McQueen brings all of his talent and hunger for meaty themes and impactful visuals and applies that to a straight-up heist thriller movie, resulting in a crackling blockbuster that is as resoundingly entertaining as it is thoughtful. Following in the footsteps of Michael Mann’s Heat, Christopher Nolan’s Batman Begins, and David Fincher’s Gone Girl, McQueen has made the successful leap to crafting a big, star-studded, entertaining popcorn movie without sacrificing character, craft, or heavy themes. Widows is, quite simply, the full package. Based on a 1983 ITV series of the same name, Widows opens violently with a heist gone wrong. After a thrilling car chase (which is shot beautifully—as is every single scene in this film), the men involved are killed. They leave behind their wives, but also a debt. McQueen brilliantly introduces each of the widows at the respective funeral of their lost loved ones, to also telegraph the vast differences between them. 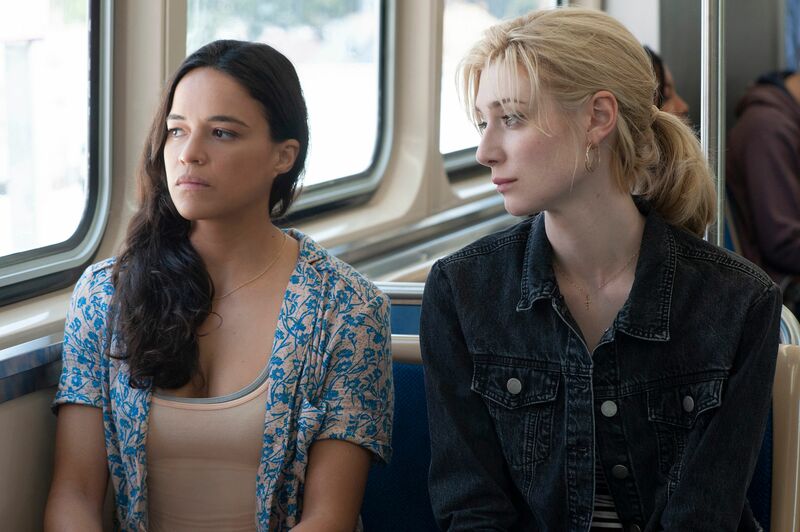 There’s Harry Rawlins’ (Liam Neeson) wife Veronica (Viola Davis), who lives in an extremely expensive apartment; there’s Alice (Elizabeth Debicki), the battered but resilient wife of Jon Bernthal’s character; and there’s Linda Perelli (Michelle Rodriguez), who struggles to raise her two children and run a business in the constant absence of her husband. All of the widows are left high and dry when their husbands die, and they each try to find their own ways of getting by. Veronica, however, gets a terrifying visit from Jamal Manning (Brian Tyree Henry), an individual running for Alderman in a mostly black ward, but who also doubles as a crime lord of sorts. You see, it was Jamal’s money that Harry and his crew stole, and it was his money that burned up in the explosion that killed the men. Jamal gives Veronica four weeks to string together $2 million, or else. 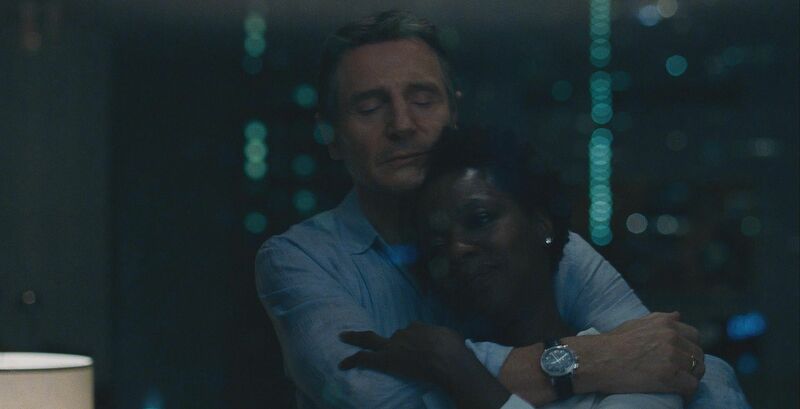 This kicks the story into gear, but from the opening frame McQueen grabs the audience by the throat and never lets up—Widows is brilliantly paced. This is a firebolt of thrills from beginning to end, but also a kind of heaven for cinephiles. McQueen reunites with his acclaimed cinematographer Sean Bobbitt to stunning results, including two long takes that are absolutely jaw-dropping both in execution and effect. Indeed, there’s not a moment wasted in Widows—every shot, every look, and every word matters. Some are simply unique and effective ways of telling this story, as in a beat-down sequence involving a bowling alley that is particularly violent. While others drive home the lofty themes of the film. Indeed, while Widows delivers wonderfully as a straight thriller, it also packs a walloping thematic punch. It’s essentially a film about the messes that men make, and the women who are left behind (or forced) to pick up the pieces. There’s a reason this ensemble is stacked with tremendous actresses, and there’s a reason this is a story about women, not men, pulling off a heist. They face not just terrible odds, but also the lack of faith that they can even pull something like this off. They’re the wives. They take the money and spend it while the men do all the dirty work, right? Wrong. Widows gives a voice to these women, gives them agency, and reveals the complex inner lives they led while their husbands were busy mucking things up. On top of all of that, McQueen delves into issues relating to Chicago politics, violence, corruption, and even capitalism. This is a meal of a movie. In addition to McQueen, Widows’ other secret weapon is Gillian Flynn. She broke out in a big way as an author, but also penned a tremendously rich screenplay adaptation of her own book Gone Girl for director David Fincher. Working with McQueen, she provides not only the meat of a twisty, page-turning yarn, but also yet another fascinating look at the complicated lives of women living in a world that is largely defined by men. Widows also boasts some of the dark humor that was a highlight throughout Gone Girl. You read that correctly: Steve McQueen has made a movie that is genuinely funny. The craft in Widows is spectacular. Sean Bobbitt’s cinematography is sharp, sleek, and haunting. The attention to detail throughout the film is true to McQueen’s form, and every scene is layered with thematically resonant material not just in terms of dialogue, but also shot composition and even production design, with Oscar-winner Adam Stockhausen crafting a diverse range of sets that tell stories unto themselves. And then there’s Hans Zimmer’s score, which flies a little under the radar for a bit, but when it kicks into high gear it’s tremendously effective. As for the performances, well, not only is there not one bad apple in the bunch, almost every single character gets the chance to shine in one way or another. Davis is cool and confident, but also deeply in mourning for her husband, allowing the actress to really let loose with her range; Rodriguez displays a complexity and thoughtfulness that’s a welcome change of pace from the Fast & Furious films; Tony winning actress Cynthia Erivo makes an absolutely stellar feature film debut; and Elizabeth Debicki is perhaps the biggest breakout of the film, playing a character who has been used by people all her life, and who is done putting up with it. Perhaps two of the biggest surprises of the film are the performances from Henry and Daniel Kaluuya. Henry is best known as the too-cool-for-school Paperboi on Atlanta, but here he plays an incredibly smart, scary individual who more than holds his own opposite a towering performer like Viola Davis. And Kaluuya brings to life one of the most terrifying villains in recent memory in a full 180 from his Oscar-nominated Get Out performance. If it sounds like I’m gushing, it’s because there’s just so much to gush about. Prestige filmmakers nowadays are normally relegated to either crafting thoughtful but lower-budget dramas or compromised blockbusters. 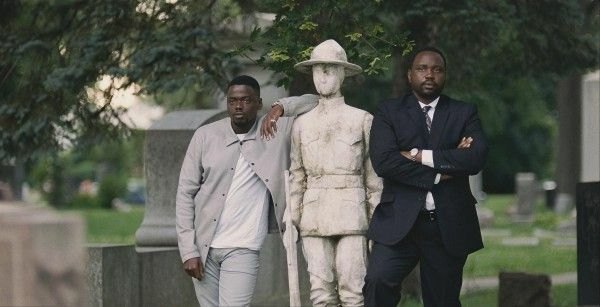 Widows feels like a Steve McQueen movie through and through, but it also feels like a genuine crowdpleaser. It’s exciting and thoughtful and funny and sad and moving. It’s not only one of the best films of the year, it’s one of the most enjoyable. Widows contains multitudes.